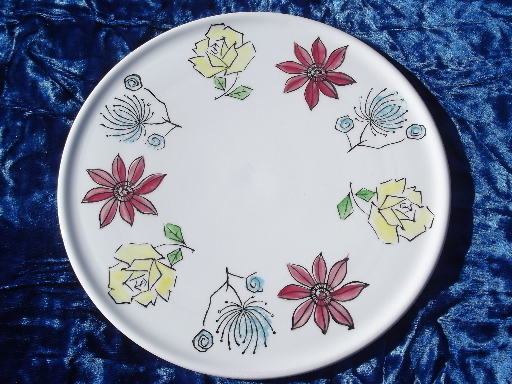 Fiesta flowers vintage cake plate serving tray, hand-painted Japan? 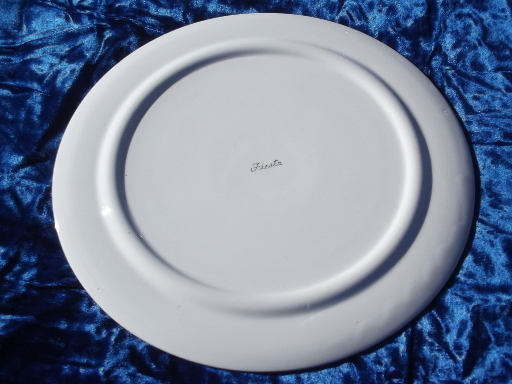 Retro ceramic cake tray, a flat plateau 11" in diameter. 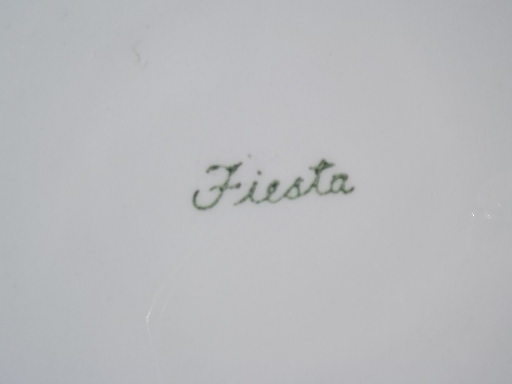 This is marked only &apos;Fiesta&apos;, looks like a mid-century vintage made in Japan piece to us! It&apos;s in very nice condition without chips or damage, I don&apos;t believe it was ever used.